Relentless Pursuit of Perfection are world renowned for their coaching and workshops, typically with a performance-theme. Our DWOPs and CWOPs are known to be some of the most collaborative and interactive in the business. What may well-less known is that we are passionate about safety and have linked up with some world-class experts to offer HSE amongst our suite of services. 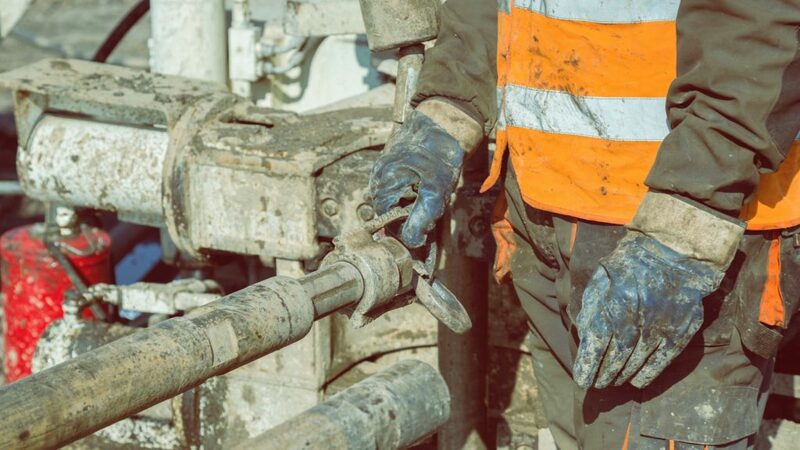 We understand that careful operational planning is an important part of a well‘s life cycle, but that there are also plenty of other aspects to consider. We want the activity to be efficient, but it must also meet it’s objectives in a safe manner. To achieve this we need a holistic view of the process, where each and every part is given the same respect. The ‘weakest link’ concept is highly valid on the oilfields and rigs. This is why we run team-building workshops, and why we champion the principles of the Enabling Environment, which addresses the human aspects of what we do. For a team to operate at its best, they must respect the rules, regulations and principles. Not just because they fear reprimands, but because they completely understand and agree with them. When something goes wrong, we can point to human factors, mechanical failures or perhaps weather conditions. The effects of an accident or breakdown are felt throughout the whole organisation. From the drilling floor, to the rig canteen, all the way to the accounts department and boardroom at head office. Injuries affect families and can alter lives. It’s because of these knock on effects, that we need representatives from all disciplines at our DWOPs. We need engineers and operational personnel, geologists and sub-surface experts, logistics personnel, partner reps, QA-QC inspectors and regulators, from the office and wellsite teams… and, importantly, health and safety (HSE) people. A non-industry person might wonder why we would invite people like regulators or safety professionals. Wouldn’t the authorities have already issued drilling permits at this stage, and isn’t the meeting just about ‘getting the job done’? For the regulators, attending the meeting gives an excellent insight into what is being planned and potentially turned them from ‘judge’ into ‘knowledgeable partner’. Furthermore, they often have a lot of industry experience and bring along insights as to how other operators are doing things. One of the reasons why we all come together at meetings such as a DWOP, is because everyone needs to have an understanding of the project. We don’t need to completely know each others jobs, but we do need to understand what other people are tasked to do and to understand and explore the interfaces. This is the part of building a team, way before operations start. Maximum understanding will allow better decisions to be made. Good preparation creates confidence and minimises the risk of a slip-up. Furthermore, each manager or supervisor will be better equipped to explanations the rationale to those people working for them. The better the explanation, the higher the likelihood of compliance! For sure it’s not about cutting corners. From extreme weather, to heavy equipment, to complex processes. The job of an oil worker is challenging. Complete safety clothing and equipment is just as important as any technological advance. We all know that specified safety clothing and equipment (PPE) should be worn at all times in a work area. Some people might think that their impact-resistant gloves make it harder to do their job, or even more dangerous, so the gloves are seen to defeat the purpose. Some people may scorn the full liquid-proof boots and say that lace ups are better in the situation of being crushed or burnt because the laces can be quickly cut away in the case of an accident. That may be the case, but if using oil-based mud or corrosive brines then this may be a cause for regret. We all know that safety goggles or screens can get smeared or scratched, or steam up and obscure vision. On sunny days, conventional safety glasses may not protect against glare. If someone personally disagrees with company policy, and changes to different items of PPE, others may follow, especially if that person is a supervisor A culture like this is hard to control, and will inevitably lead to injuries. If not handled correctly, challenges to this breach in rules can also lead to a break-down in the very team spirit encouraged at the planning workshops. Every single person has a responsibility to ensure that they, and those around them, wear the proper PPE. Sometimes rig hands call us on the hotline and ask safety-related questions. They might ask whether we think that fire resistant shirts or pants are necessary, since they will be wearing work wear on top. Firstly, we tell them that they need to speak to their own company people, for legal reasons we can’t advise them. Secondly, we tell them that if anything, they need to be extra careful, rather than be tempted to cut corners. I Mean, if a fire happens, how many layers of fire resistant clothing will you want between the flames, and your skin? At Froutlet, we believe that we have a moral responsibility to supply authentic and high quality protective gear. After all, lives are at stake and this is important whether we’re mandated to be involved or not. I bet that we could have similar conversations with suppliers of OCTGs, valves, lubricant, fuel, or anything else that we all need. We don’t just focus on the most important things, we focus on everything, from the food we cook in the canteens, to the gloves we wear. This is how we relentlessly work towards perfection.